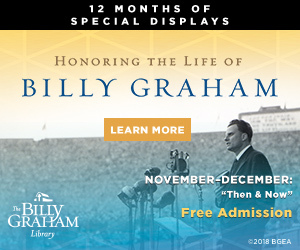 Billy Graham describes Rose Adams as “a delightful Christian woman who cared for my mother, Morrow Coffey Graham, in her last two years of life.” Decades later, Rose would still visit Billy and Ruth, warming their hearts with memories of Mother Graham, as she was known, and how every conversation would lead back to the Bible. 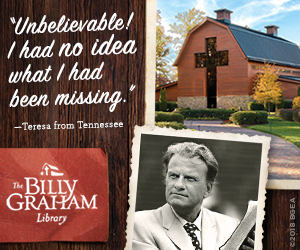 In time, Adams put these recollections on tape for Billy Graham. Deeply touched, he then suggested putting them into book form. 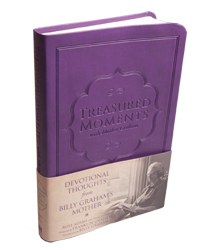 The result of that request is Treasured Moments with Mother Graham, a collection of daily devotions built from the diary of Rose Adams. 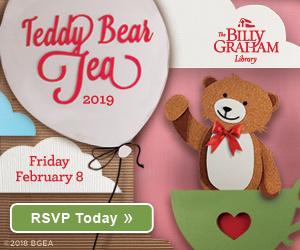 Each entry includes a word of Truth from Mother Graham, a related Scripture and application, a recollection from Rose Adams to Billy Graham on the context and meaning of this teaching from his mother, and finally is complemented by reflections from Billy Graham. These are indeed treasured moments that span every book of the Bible and every facet of the Christian life. 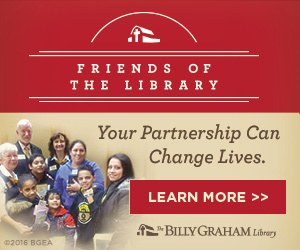 Pick up your copy today at the Library or online. When we visited the library in July 2012 we were blessed to hear Ms. Adams share her scrapbook and tell stories of Mother Graham. We enjoyed it so much. Thank you Ms. Adams for your dedication to Christ. Keep sharing the Good News! Thanks for visiting the Library, and thanks for sharing the note about Ms. Adams. We’ll be sure to pass it on.